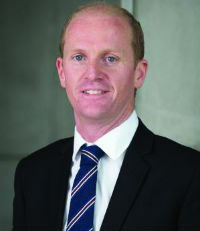 In addition to acting on a range of high value and complex merger and acquisition transactions and infrastructure projects, Michael Gartshore also pro-bono advised Future Generation Global on the New Zealand elements of its IPO – (Future Generation donates 1% of its assets annually to Australian mental health charities). Furthermore, he advised Fulton Hogan on the $1b Puhoi to Warkworth PPP and IAG on its $1.8b acquisition of Lumley. The young partner (a 2015 Young Lawyer of the Year finalist), together with the firm, are delivering astute commercial and legal advice in small, senior-weighted teams in a space traditionally dominated by large, full service firms. It’s paying off – the firm was Boutique Law Firm of the Year 2014 and 2015, a finalist in the M&A Deal Team of the Year 2015 and Gartshore was named as an Up and Comer in Chambers & Partners.